So here for your entertainment are some fun Holiday things for you and your family. We’ve got stories of Christmas and the Christ Child, holiday music for singing along, tasty holiday recipes, and holiday pictures for the kids to print and color. Enjoy our daily Video Advent Calendar as you countdown to Christmas. So bring your kids and tell your friends. We hope you find something you like and be sure to decorate for the Christmas season with beautiful Christmas ornaments! The holiday season is also a time when many people still send out Christmas cards to friends and family. Today’s Christmas cards might feature anything ranging from a religious scene to some fun snowman characters spreading a little joy during the holiday season. Many families send photo christmas cards to share their family photos, because holiday cards seem more special with a photo. Don’t forget everyone loves a holiday party, so sending holiday party invitations is also crucial for the season. Here is look at some of the most popular traditions and the folklore behind them. For many of us, Rudolph and the rest of Santa’s reindeer are a part of Christmas folklore, but these classic characters are very much a modern addition to Christmas tradition. Poinsettias, with their ruby-colored, star-shaped leaves, are ubiquitous holiday decorations during the Christmas season. While the tradition of kissing under the mistletoe is a long-standing and Christmas tradition, the mistletoe plant itself is anything but romantic. The tradition of sending Christmas card greetings to friends and family dates back to the Victorian period in England. The Advent Calendar begins on the fourth Sunday before Christmas and counts down the days until the arrival of Christmas. Advent wreaths are an old Protestant custom, which originated in Eastern Germany. The traditional advent wreath is made from evergreen branches to symbolize God’s ever-lasting presence. Holiday on the Net’s 2010 Holiday Video Countdown to Christmas. We’ve put together an Advent Calendar featuring some fun, interesting, and we hope entertaining, holiday video clips to help you countdown to Christmas. 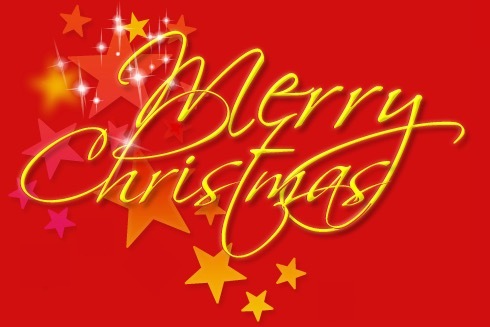 Listen to some of the different ways “Merry Christmas” is spoken around the world. Bring Holiday Cheer to Friends and Family with our Holiday Picture-Taking Guide.